It appears that Apple and Amazon have finally settled their drawn out feud. Buzzfeed reports that Apple will be announcing at the WWDC that the Amazon Video app will be coming to Apple TV. While Amazon has provided a limited capability streaming app for iOS devices, it has never submitted an app for Apple TV. On the surface, Amazon’s reluctance seems to stem from the fact that Apple TV is a direct competitor to its Fire TV box. This view is reinforced by the fact that the retailing giant removed Apple’s device from its inventory. However, there is more to it than Apple being a competitor to Fire TV and the Prime streaming service. After all, Amazon still sells Roku Express, which would seem is a direct competitor to Fire as well. So why the beef with Apple. If one is to believe Amazon’s statement, then one would have to assume that the ban falling right on the heels of the release of Fire TV was just a coincidence. There is more to the story, although it is veiled and secretive. While Apple TV and Fire TV are competitive devices in one respect, they are also complementary in another. Amazon is a provider of streaming content; Apple only started producing original TV content earlier this year according to Macworld. 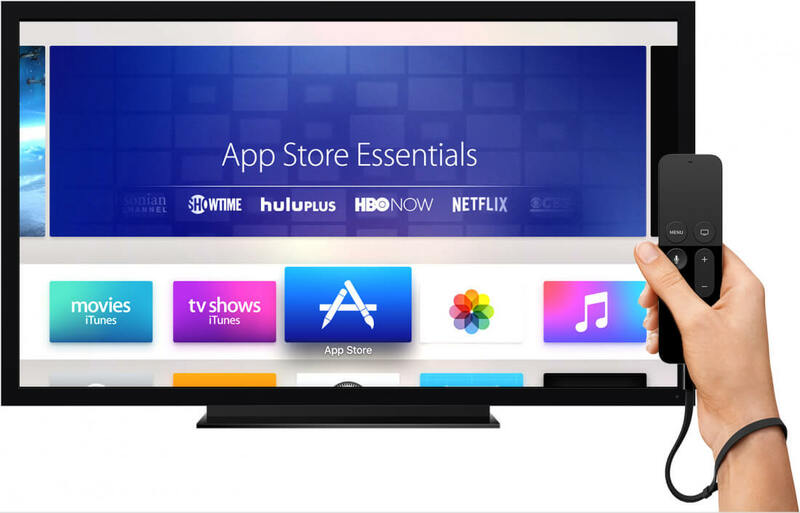 Therefore, Apple TV requires apps from other vendors such as Netflix, Hulu, and Amazon to provide enough content to justify buying the $150-200 box. On the one hand, this puts Amazon in an advantageous position over Apple in that it has something that the fruit company needs. On the other hand, Apple has something that Amazon wants which is its viewing customers. So really, the whole dispute may have been over who provides more value and which company is going to fork over money for the privilege of using the other’s service or product. There is no direct evidence of this assertion. However, some circumstantial evidence indicates that this might be the case. Additionally, at the same conference, Bezos gave a long winded excuse for the ban that just sounded weak, but also mentioned “business terms” without going into detail. What were those “acceptable business terms?” We may never know for sure, but 99 percent of business discussions involve money, so it is not unreasonable to conclude that is exactly what Amazon and Apple were talking about in private. It is worth noting that Apple does take a 30 percent commission from apps on the App Store. While the Amazon Prime streaming app is typically free to download and install, buying or renting content through the app would fall under Apple’s terms regarding the commission. This is likely why the iOS versions of Amazon's Prime application will not allow users to rent or make purchases of content through the app. What we know for sure is that Apple and Amazon have been in talks since before the 2016 Code Conference. Now we hear that Apple will announce the Amazon Prime streaming app to the app store later this year. Amazon will also be lifting its ban on the Apple TV before the end of Q3 2017 and start allowing third-party vendors to sell it on their storefronts again. So apparently the two companies have come to an agreement. We may never know Apple’s conditions in that agreement, but a good bet would be that it is either waiving or reducing its 30 percent fee for Amazon so that they can allow renting and purchasing from within the app.